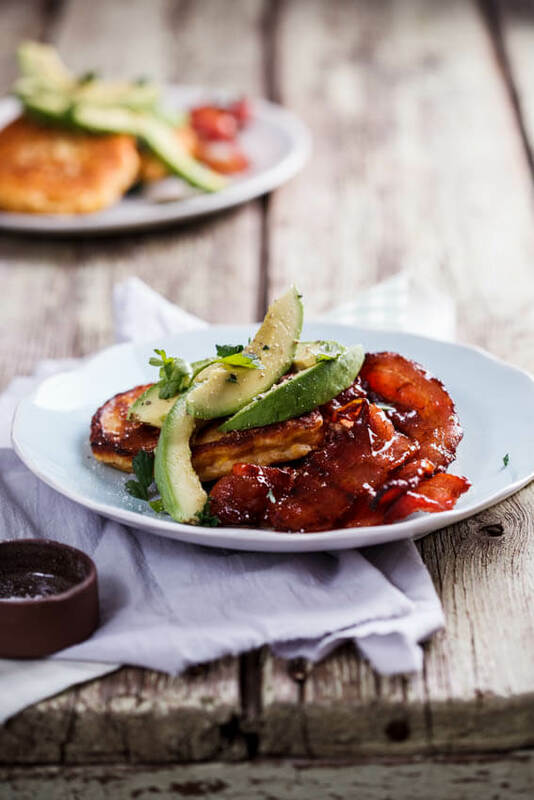 Crispy corn cakes are the perfect easy show-off breakfast or brunch recipe when served with honey-glazed bacon and ripe avocado. Ok Universe, I get it. You’re pushing me, challenging me and taunting me. I’m sure this is all part of the plan to make me stronger, more patient, more..whatever. But right now I am feeling just a little overwhelmed. You guys remember me telling you about the 10020 projects and assignments I have to finish before we can go on Holiday and December and how I was already feeling a little on edge? Thank goodness though that it wasn’t more serious and that she is completely fine. Like, so fine that I almost don’t even know her arm is in a cast. She is such a little super hero. But as you can guess, things have gone from crazy to just a little manic over the past few days and so food has been the last thing on my mind (other than when I’m shooting/filming for clients). Dinners have been a quick rummage through the fridge to see what I can rustle up in mere minutes. 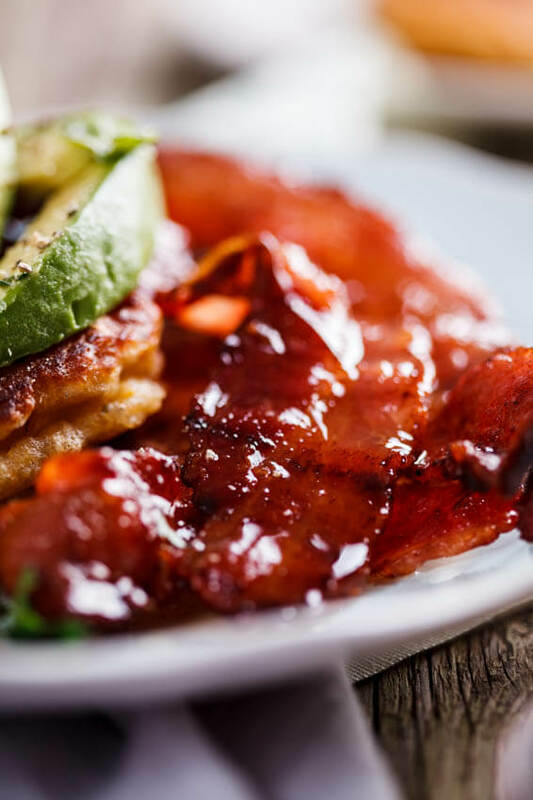 And this recipe for crispy corn cakes with honey-glazed bacon and avocado was an absolute winner. We had it for dinner but honestly this would be the ultimate fancy-pants (but crazy easy) breakfast or brunch. Definitely the kind of thing to make for someone you’re trying to impress. Because listen: Honey-glazed bacon is life. If you’ve never had honey-glazed bacon, you need to get on that pronto because your life will never be the same again. And paired with creamy ripe avocado and crispy corn cakes? Yes please! To make the corn cakes, whisk together the creamed corn, corn kernels, eggs and sugar. Sift in the flour, baking powder, salt and spices and mix. If necessary, thin out the batter with the milk. Fry spoonfuls of the mixture in a splash of oil in a hot skillet/frying pan until crisp and golden brown on both sides. Drain on kitchen paper and repeat with the remaining batter. In the meanwhile, fry the bacon until just starting to crisp then pour of the excess bacon fat (reserve for the best ever roast potatoes) and place back on the heat. Pour in the honey and glaze over medium heat for a minute or two until glossy. 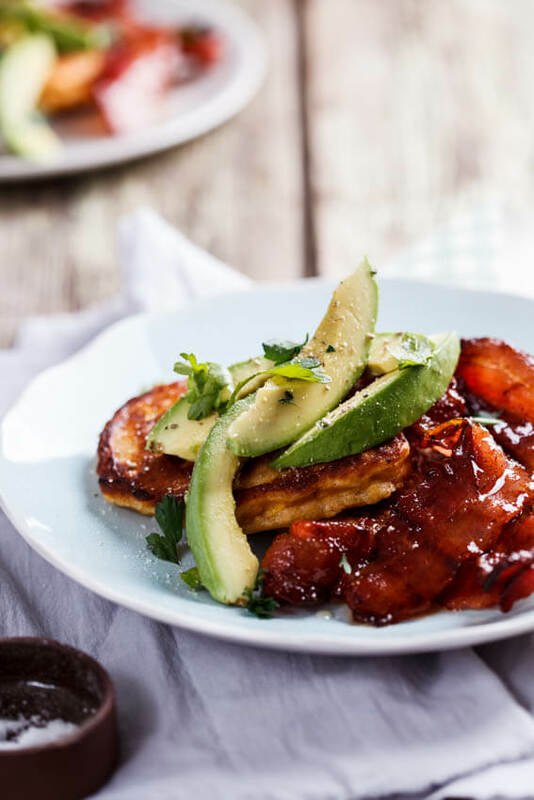 Serve the corn cakes with the honey-glazed bacon and ripe avocado. 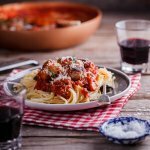 Just pinned this recipe, it sounds perfect for a holiday brunch. 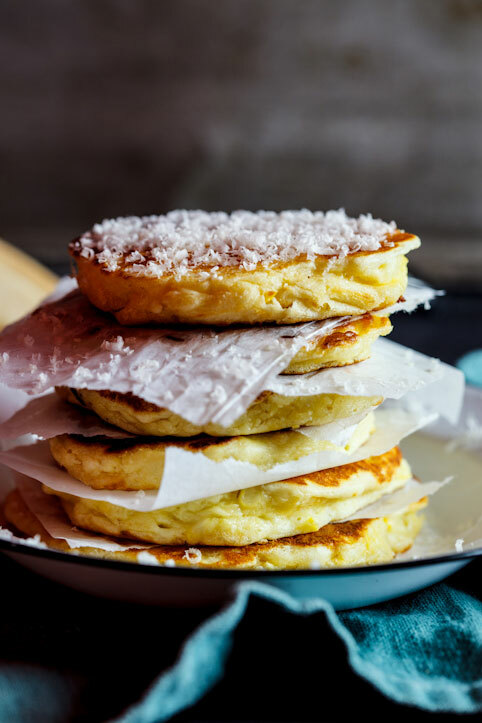 These corn cakes look amazing Alida! And that honey bacon…I’m drooling!! Thanks so much Mary Ann! That honey bacon is just too good. Breakfast, lunch or dinner Alida! These corn cakes sound totally delicious! I absolutely love that honey glazed bacon! Love, love a fancy pants breakfast idea for entertaining house guests over the holidays. So lovely! Now THAT is a breakfast. 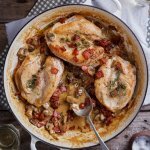 I’d have to add a fried egg for my husband because he firmly believes every breakfast should come with eggs but I’ll definitely be trying this over the weekend. 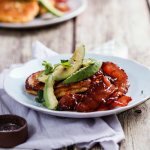 I LOVE corn fritters and the idea of honey bacon seems like a dream come true! Thanks for sharing! Honey bacon will change your life. It is so crazy good!